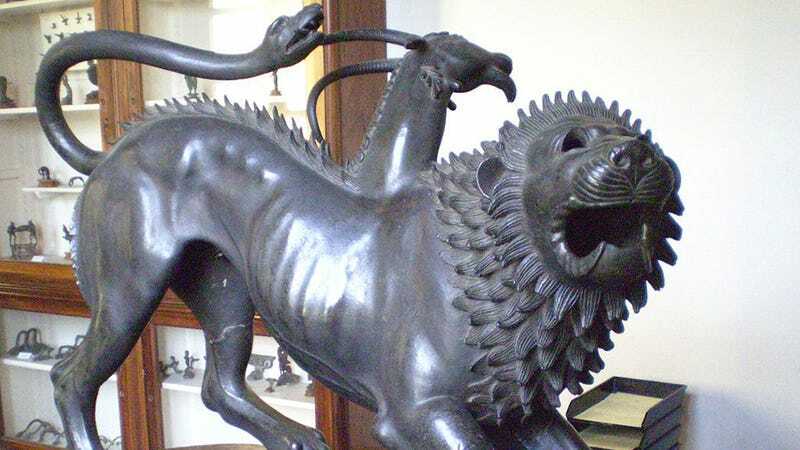 For most of us, chimeras are a common aspect of mythology and the most tragic parts of our favorite anime, but for the science community, they hold both incredible research value and ethical concerns. This is why the US National Institutes of Health (NIH) proposed new guidelines Thursday in dealing with animal-human hybrids. In the 2009 guidelines dealing with human stem cell research, the NIH originally banned the introduction of human cells into animal ones. In 2015, the organization said that it wouldn’t be funding new chimeric research until any new guidelines were taken under review. Now, the agency said in a release that due to scientific advancements, are willing to make some changes and fund some of this research—with a couple conditions. The NIH also stated that it would be putting together an internal committee to help in making those decisions and to consider the ethics behind future experiments. “I am confident that these proposed changes will enable the NIH research community to move this promising area of science forward in a responsible manner,”said Carrie D. Wolinetz, the associate director for science policy at NIH. It’s unlikely that these guidelines would be applied to somebody trying to creating a living cross between a human and an animal for some mad science purpose. The proposal deals with animal embryos that are injected with human stem cells, and are then used to study embryonic development and to create models of human diseases. Researchers also hope that more developments in the field will facilitate the ability to grow organs in lab environments. Of course, with any issue regarding scientific ethics, the proposal has its detractors. “If the predictions are wrong and the safeguards are not enough, then the price will be the cost of our humanity as well as these new lifeforms that did not ask to participate in this frightening enterprise,” wrote one commenter on the NIH website. Over at the Nature journal, biologists question whether the guidelines would be enough to keep up with progress. Francoise Baylis, a bioethicist at Dalhousie University in Halifax, Nova Scotia, told Nature that they may not cover, for example, the creation of a third category of creature that wouldn’t fall under the current guidelines or fall in the animal/human binary. The public has around a month to comment on the proposal before the NIH makes it official.